Special thanks to Skyes Cottages for making this article possible. Traveling muggles know they can meet a varied bunch of people out on the open road, in bustling railway stations or waiting to board a plane. Travelers are a diverse breed, and we’ve all spotted fantastic beasts characters while out and about – the one’s that catch your eye for their quirky hat or mysterious-looking suitcase. It’s one such traveler whose suitcase turned out to be a whole bundle of trouble in this winter’s hit wizarding movie, Fantastic Beasts and Where to Find Them. Those who are familiar with J. K. Rowling’s wizarding world will no doubt recognize the name of Newt Scamander, and it is he who carries the troublesome suitcase of which we speak. These cute creatures are native to Britain and have a penchant for anything shiny. They live underground and can be found in burrows and caves. Be careful if you’re wanting one as a pet, you may come home to chaos. These naturally camouflaged animals guard the trees wands are made off. Favoring forests of west England they are intensely shy… until you disturb their home. Watch out for their long, sharp fingers. At the start of the film, the British magizoologist is returning from an expedition with a case full of bizarre creatures, so naturally he feels a certain amount of consternation when it gets accidentally switched for another case while travelling through New York. Our hero has some serious explaining to do, and sets out on a mission to recapture the fantastic beasts characters before they can do too much damage. Meet a real life magizoologist or cryptozoologist as it’s been called. 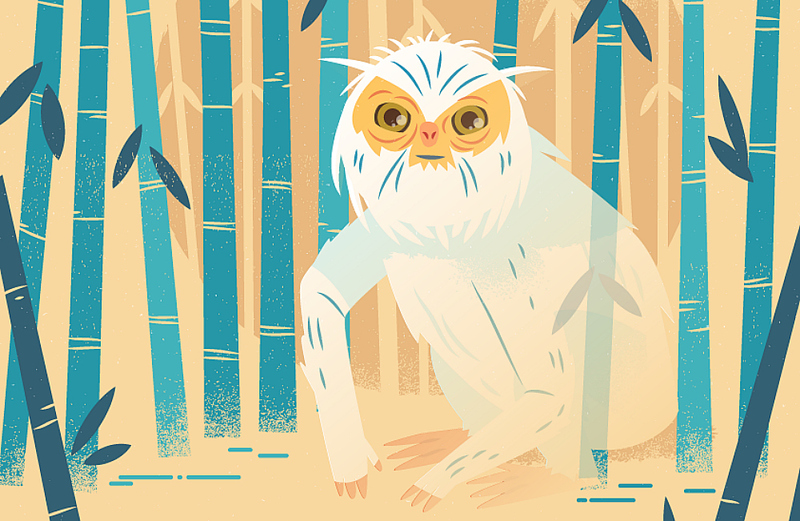 Peaceful and ape-like, the Demiguise can be found in the Far East. If threatened they quickly turn invisible and their rare pelts can be used to make invisibility cloaks. If you haven’t seen one yet, it may be because your memory has been wiped by the Ministry of Magic. A reservation has been set up in the welsh mountains where they feed on small mammals, so when climbing Snowdon, keep an eye out. The film is a great showcase for some of the critters described in Scamander’s famous textbook of the same name, which we read about in the Harry Potter books before J.K. Rowling published the thing for curious Muggles to peruse, in 2001. The book and film make for a fine expansion, or rather deeper inspection, of Harry Potter’s universe, so true wizard geeks will be chuffed to discover a series of new posters have been created to celebrate some of those unique animals. With a flap of its wings, a storm is summoned. Closely related to the phoenix, these powerful birds favour drier climates in the US, their shimmering feathers blend in perfectly to the high clouds. Big and beastly, if you come across a giant, run in the opposite direction. Where better for them to live than the mountains of Europe, sizing themselves up against the towering peaks? When delving into the depths of the great lake, look out for the merpeople’s strong fins and long, flowing hair. With warlike tendencies, don’t stop by too long as they may not let you return to the surface. Whether you pin Fantastic Beasts characters to your computer desktop or print out the high-resolution versions to put on your walls, you’ll find them to be both stylish and informative – you’ll want to know what you’re dealing with should you happen to wander off track on your travels, and come face to face with a niffler, a demiguise or – shivers – the common green Welsh dragon! Special thanks to Skyes Cottages for making this post possible.